Moscow Olympic emblem over Olympic stadium. 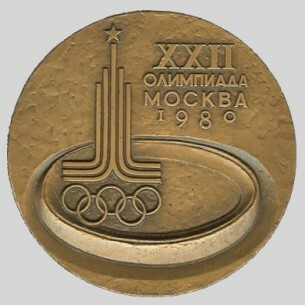 The commemorative medal was designed by sculptor Angelina Leonova. 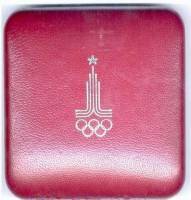 The emblem of the 1980 Games against a background of a stadium arena appears on the obverse. 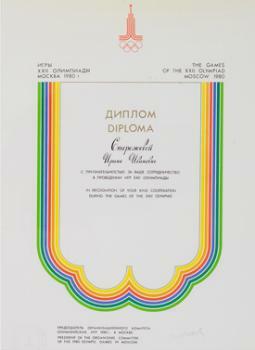 In the upper right-hand corner is the inscription in Cyrillic "Games of the XXII Olympiad. Moscow 1980". 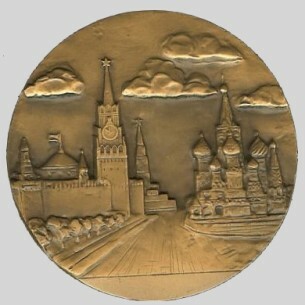 The reverse features a bas - relief of Red Square in Moscow. 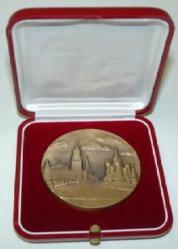 The medal is made of tombac, and is 60 mm in diameter and 3 mm thick.